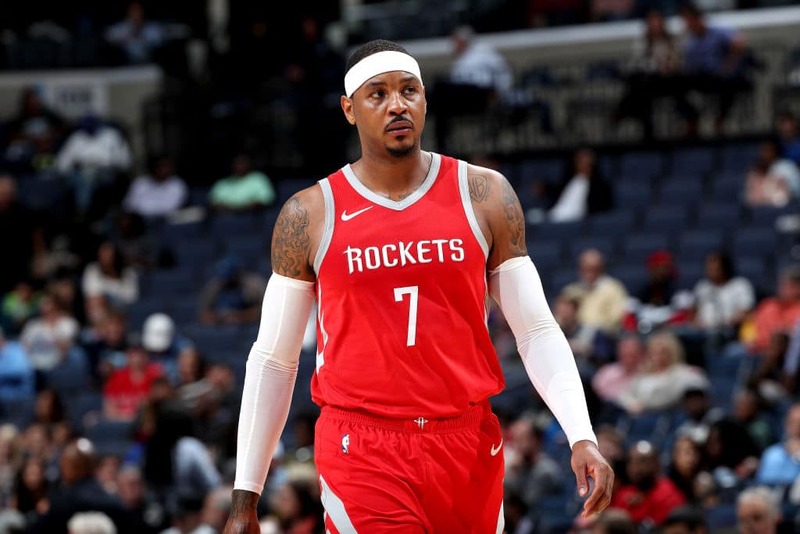 The Carmelo Anthony Houston era is over, after only 10 games. Melo’s representatives are said to be gathering intel around the NBA about where he’ll end up next. Rival front-offices are perplexed that Anthony’s time in H-Town was so short-lived. Barring a change of direction, the Rockets are moving toward waiving Anthony in the near future, league sources said. Anthony, 34, has remained eager to play and try to contribute to the Rockets, sources said. Hall of Famer Dominique Wilkins recently spoke about ‘Father Time’ and Carmelo Anthony in an interview with Marc Spears of the Undefeated. Wilkins, the nine-time All-Star who played 16 NBA seasons, had stints with the Clippers, Celtics, Spurs, Magic and Hawks and knows what it’s like when the game begins to surpass you. Wilkins, 58, says he can “relate” to Anthony’s situation, where’s he’s reportedly expected to be waived by the Rockets. We don’t know where Melo will end up, but we, like everyone else, want to see him back doing what he loves best.